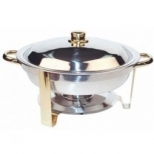 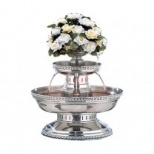 We carry popular chafing dish styles in every shape and size to match any decor. 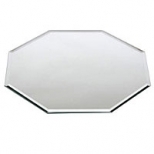 Choose decorative trims, roll-top, dome or lift-off covers, and a myriad of other styles. 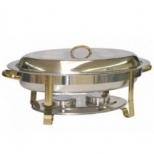 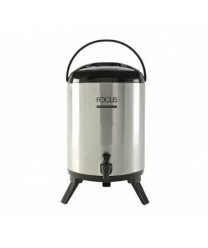 We also carry electric and induction chafing dishes for any catered affair to fit any budget. 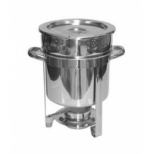 An attractive buffet dispenser will impress your guests by making beverages and dried cereal look more appealing and appetizing. 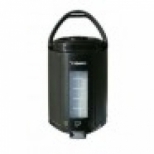 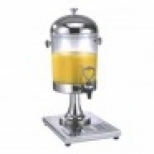 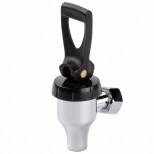 We carry a selection of juice dispensers, insulated beverage dispensers and cereal dispensers to dress up your buffet table. 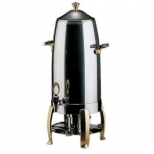 Choose the right buffet beverage servers for your catered event and set the tone for any occasion. 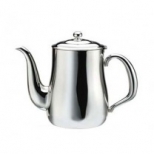 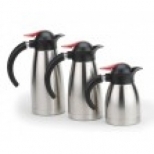 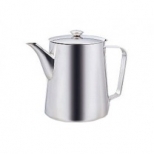 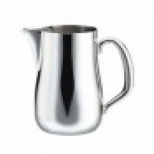 We carry pitchers, creamers, teapots, coffee servers, decanters and carafes in glass, stainless steel, plastic and ceramic so you can adorn each tabletop with cold water, drinks or coffee. 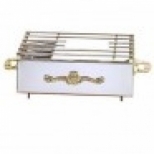 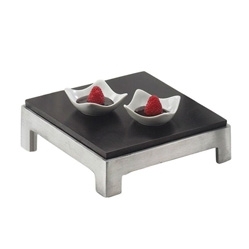 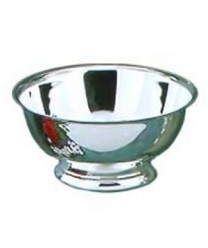 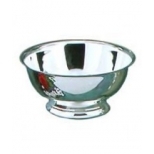 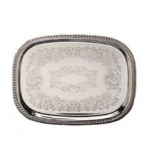 Select the perfect buffet serveware for catered events and receptions. 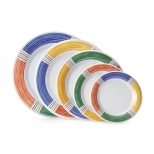 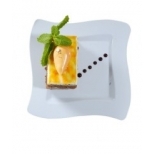 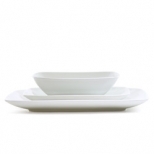 From casual to formal, we carry china dinnerware, melamine dinnerware, restaurant flatware, glassware, serving utensils, catering trays and more that will work well in any foodservice operation. 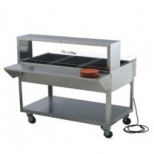 Our selection of buffet stations features top-of-the-line equipment that can match any catering demand. 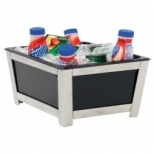 From hot and cold food stations, beverage counters, food utility stations and buffet station accessories; to carving stations, sneeze guards and food bar accessories, you can design your own buffet with ease. 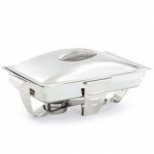 Be it a small catered event, or a large wedding reception; whether you are serving hot or cold food or a combination, we have the food warming equipment you need. 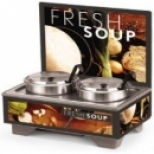 Shop for food heat lamps, soup kettles, hot food dispensers, heated holding cabinets refrigerated cabinets and more and keep food at its optimal serving temperature. 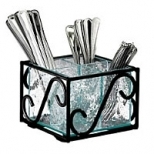 Turn any catered affair, office party, or holiday event into an extraordinary affair with disposable tableware. From attractive disposable plates, bowls, serving utensils and catering trays to disposable glasses, bar supplies and mini dishes and disposable tableware can cover every aspect of your event. 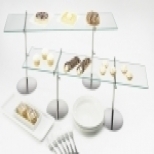 Create outstanding food, ice and drink displays with our selection of catering displays. 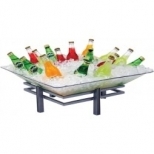 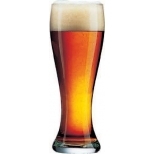 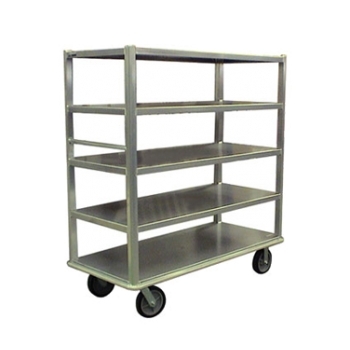 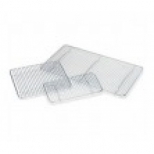 We carry beverage housings, cake displays, display risers and food display stands. 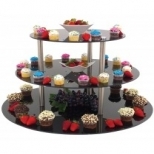 We also carry champagne and chocolate fountains, ice displays, glass display and tasting platters and other products that will highlight your culinary delights. 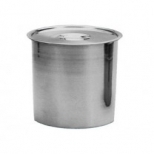 Shop our steam tableware shop for all the equipment and products you will need to set up a buffet table in your catering hall, cafeteria, institutional setting or hotel. 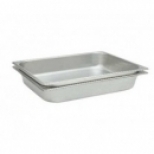 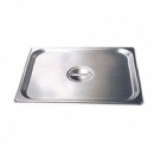 Our full service steam tableware department contains steam table pans, water pans, steam table pan covers, steam table pan adapters, steam table cutting boards, bain maries and just about all you need for any buffet table. 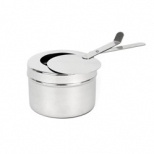 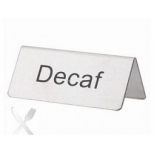 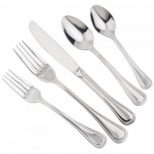 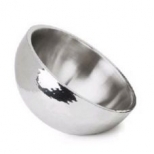 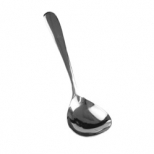 Our steam tableware is constructed of high-grade and economy stainless steel, depending on your preference, and can be mixed and matched to suit your individual requirements. Ensure that foods are properly stored and transported at catered events. 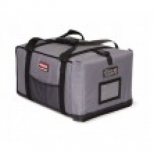 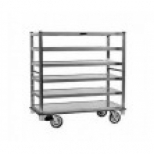 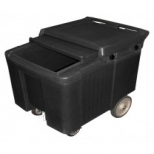 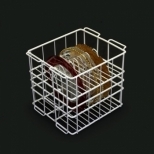 Whether you are looking for food storage products, ice caddies, food service carts or food storage bags these products will help you provide a safe way to store and transport food before, during and after your event. 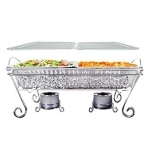 Catering a special event, banquet, wedding or conference? Then join the thousands of caterers who use us for all their catering supplies. 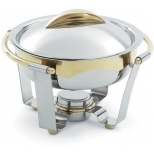 Choose from our large selection of chafers in many sizes, shapes and styles. 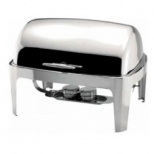 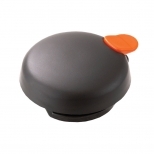 We also have a full line of chafer accessories, including fuel holders, chafer boxes and more. 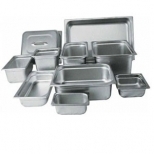 Then, browse through our vast inventory of every type of disposable needed for any event, including dinnerware, cutlery, serving utensils, and more. 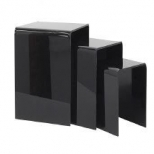 Finally, turn to our selection of coffee urns in many sizes and styles, as a perfect ending to your fabulous catered event.